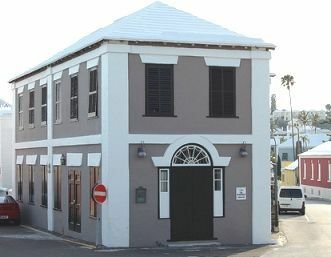 THE AFRO-INDIAN: It is past time that I include in our exhibits information regarding the hidden heritage exhibit as we refer to it because so many folks do not or will not accept the fact that there are many Bermudian that have connections with these ethnic groups that I’m about to highlight. The early Afro -Indian may never have appeared in a school text , or become overly famous movie or television stars, but Afro-Indians are living here in Bermuda and contributing to our society, and have been since the freeing of slaves in Bermuda. They ranged from North to South American Jungles, and Jewel-like Islands of the Caribbean, Bermuda was no exception. The sturdy off springs of the Afro-Bermudian Indian marriages shaped in the early days have quietly settled into the fabric of the Bermudian Culture. many times it has been denied that they even existed here, but they live and thrive among the Bermudian Population. The first Indian was brought here to dive for pearls along with another black man. (see the story on this in our Venturilla exhibit at the Bermudian heritage Museum). Indians came via the slave ship Enterprise or as indentured servants. Not readily accepted they lived and worked with the African Bermudian race. Was Sally Bassett not a mulatto? Was Jacob Minors not a mulatto? These people were all well versed in fine arts such as weaving, and crafting, they are very musical and spiritual people. Their generation of descendants range far throughout the Bermuda Islands. Many Indians changed their surnames or assumed the names of their masters. Such as Rachel who was brought to Bermuda by the Tynes/Dill family and her young daughter Julia-ann (Ma-D0) who became the matriarch of some nine generations of what has now become African-Bermudian -Indian Lineage of the Peruvian Indian. There is also the Warfields who came here on the ship Enterprise and has several generations of Warfield descendants. We have researched all of these families and highlight them in our exhibits. Of course we have heard about various other tribes of Indians but few of us acknowledge our real connections. Likewise we find the Black portuguese Bermudian facing a similar dilemma. There are many families of this ethnic group. It is recorded that the Portuguese immigrated here as early as 1930-40 Arriving here on the Brigantine Golden Rule from Maderia and others later arriving from the Azores. The Portuguese were not openly accepted among the white race. Speaking no English they were largely cut off from the rest of the population by this language barrier. Being well-mannered people and skilled not only in the art of Agriculture, the males were fisherman and farmers. The women of this ethnic group were skilled in the fine art of knitting, Crochet seamstress, baking etc. many times these works designed without ready-made patterns. They filtered themselves into the Catholic religion. The women were also noted for the longevity of grieving for a loved one and black wearing apparel. The influx of the males came often times contracted for several years and without wives or children. Many were able to send for their families but others Isolated though they may have been from the English settlers lived and intermarried into the black race, hence we have among us an African/Portuguese/Bermudian population. In Chronicles of Bermuda’s history these groups long arduous quest for recognition is still a neglected chapter. In spite of their vast contributions to the Islands. In this new era we can no longer deny that generations of Black Portuguese/ Black Indians exist here on this Island. In our multi-cultural exhibit at the Bermudian Heritage museum we fly the flags and highlight the brief histories of all of these groups including that of immigrants from the many carribeen Islands. 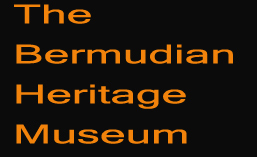 With this exhibit we hope to reveal how African , Indian, and Portuguese people must learn to live and work together in Bermuda to oppose oppression, and reveal an aspect of our history and shatter the myths of this hidden heritage .